Prices at the pumps are falling, but what does this mean for business? Early January brought the news that the price of unleaded petrol had fallen to its lowest level in five years, signalling a period of rest bite for motorists. So what has this done to the supermarket providers and the large oil industry companies in the eyes of the public? The price of oil has more than halved in the past six months to about ($50) per barrel. This has forced organisations such as Shell and BP to take cost cutting decisions in order to try and maintain growth. Consumers however, are naturally keen to understand how the fluctuation in price will affect their day-to-day lives. The price at the pumps has therefore been a focus. Our BrandIndex data shows how the news of price drops has resonated with consumers. 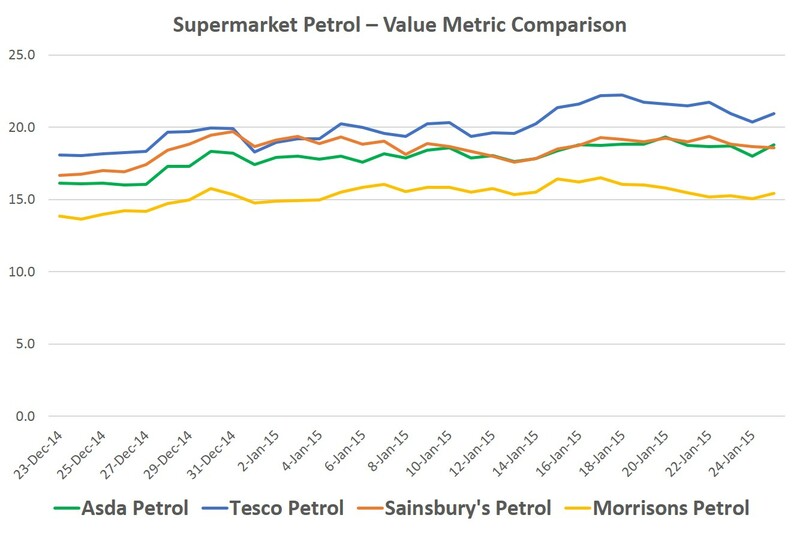 On our BrandIndex Value metric, all four of the supermarkets with petrol divisions that YouGov collects data for have seen an increase in score since the same time last month. Tesco Petrol currently leads the way on Value + 20.9. So what of the global super brands Shell and BP? Price drops bring business pressures obviously, but public perception is a different matter. 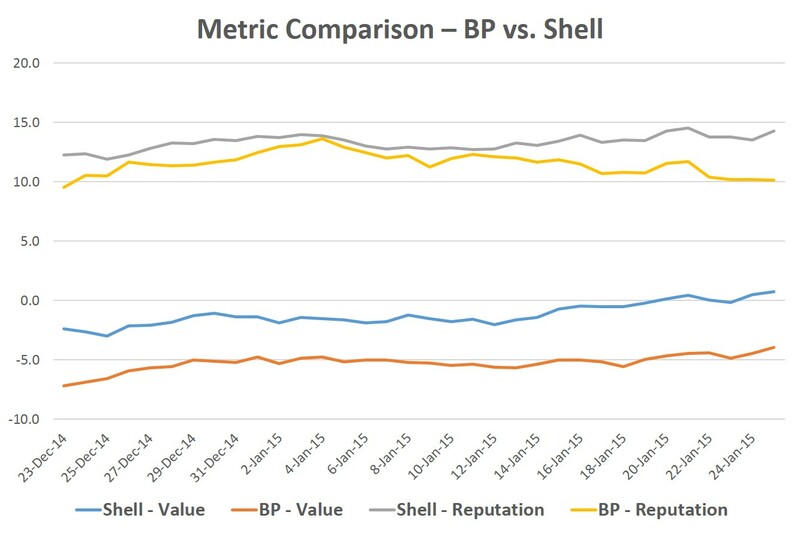 Again, we see not only an increase in our Value metric, but in Shell’s case an improvement in their Reputation rating. Shell’s Value score has risen to +0.7, prior to mid-January, their score had been perpetually negative. Their Reputation score also risen to +14.3, the highest score for a number of months. BP’s Reputation score is behind on +10.2, having not experienced the same improvement. Shell will be anxious to see if these initial trends will transfer into something more permanent, and with it a softening of public opinion. Naturally, consumers will be hoping, as George Osborne commented that prices not only fall at the pumps, but in energy bills and airline tickets too. There is however, the inevitable spectre of job losses hanging over all major companies, which will obviously effect public opinion should they be seen in the North Sea oilfields.